It is no secret that the British alternative rock band Radiohead, formed in 1986, has never made a collection of best hits for all these years. However, the fans at last can find the double album The Best Of, which recently hit the shelves. It is noticeable that in one of the interviews, the members of Radiohead definitely stated that they did not want to make compilations of their songs. So why did the disc The Best Of see the light in June 2008? The answer to this question is not evident, but it exists. The thing is that after the Hail to the Thief release, the musicians left the EMI studio, starting the independent work. Moreover, everyone knows the story of the last release of the band - the In Rainbows disc was freely available on the official site of Radiohead and anyone could pay for it the cost the one wished. However, EMI preserved the publishing rights for the material from all the previous releases by Radiohead, and after the departure of the band, the label decided to issue the compilation of their best tracks. The musicians did not take part in songs selection and even openly disapproved the acts of the company, but it is impossible to spoil the product by Radiohead - and it should be noticed that The Best Of collection is of highest quality. This double album includes both the well-known hits by Radiohead and their less popular works from the albums, along with one B-side. The popular tracks decorate the first part of the disc, which is opened by the 1995 hit Just from The Bends full-length. Such strain and tuneful rock singles as Paranoid Android and Carma Police from the OK Computer long-play speak for themselves. The first single by the band titled Creep follows them - it was chosen from the debut album Pablo Honey, which became the manifestation of the Radiohead’s presence on the British scene. The album Hail to the Thief, mixing both electronica and jazz influences, is presented by the tracks There There and 2+2=5. The Amnesiac disc, accentuated on the guitar sound, gave the Pyramid Song to The Best Of, while the Kid A album with the noticeable ambient bios donated the hits Idioteque and Everything In Its Right Place, the last of which finishes the smash hits part of the edition. They are followed by less known but no ways less fascinating You and Anyone Can Play Guitar from Pablo Honey, Planet Telex from The Bends album and a handful of tracks from OK Computer - Airbag, Let Down and Exit Music (For A Film). The album is closed by the life record of the romantic ballad True Love Waits from the concert in Los Angeles in 2001, York’s voice sounds especially touching and piercing on this track. As it was stated earlier, this compilation features only the songs, for which the EMI label has the publishing rights - it means that The Best Of contains no compositions from the latest Release by Radiohead, In Rainbows. All the thirty songs, both famous and not, are mainly selected from the discs Pablo Honey, OK Computer, Hail to the Thief, Amnesiac, Kid A, The Bends and the concert collection I Might Be Wrong: Live Recordings. The Best Of touched upon the times when Radiohead played light rock, Brit Pop and even IDM. The first part of the disc has the brightest hits of the artists without any chronology, while the second one contains interesting and daring things from the same albums, cherry-picked by the EMI workers. Although the musicians themselves refused to release the collection like this and did not participate in its formation, there was a definite need in this compilation. 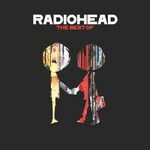 The Best Of became the excellent release for both the devoted listeners of Radiohead and those, who had only opened the music of this wonderful band for themselves - anyway, this hits compilation gets one rid of the necessity to listen to all the numerous studio works by the band, looking for the best. Moreover, it gives the full picture of all the periods in the creativity of Radiohead, excluding only the last independent release. It goes without saying that twenty years of song composition are a long term that needs drawing a line, and The Best Of disc proved to be the excellent satisfaction of this need.